TECANAT™ is a natural unfilled polycarbonate that has transparency, excellent impact strength and tensile properties. TECANAT™ GF20 is a 20% glassreinforced polycarbonate with higher temperature and tensile properties than the unfilled TECANAT™. 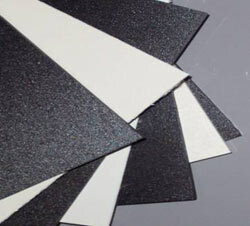 Polycarbonate is an amorphous thermoplastic. Good electrical properties combined with superior impact strength and moderate chemical resistance make this product widely accepted for numerous applications. This product is offered in many popular rod and plate sizes. Typical applications include business equipment where gears, rollers, internal mechanical parts, connectors and relays are required. The automotive industry uses polycarbonate materials for pumps, valves, light bezels and instrument panels. It also is applicable to many other industries.